Dr. Klemola was the first in his family to attend college. He earned an undergraduate degree in astronomy from Indiana University and a Ph.D. from UC Berkeley in 1962, with Lick Astronomer Stanislaus Vasilevskis as his thesis advisor. After graduation, Klemola worked in Argentina for the Yale-San Juan Southern Proper Motion Survey until 1967 when he joined the staff of Lick Observatory, where he served until his retirement in 1992. After retirement he remained an active researcher at Lick up through the end of 2018. Klemola’s collegiality and generosity with his time were widely appreciated in the Observatory and the Department of Astronomy and Astrophysics. 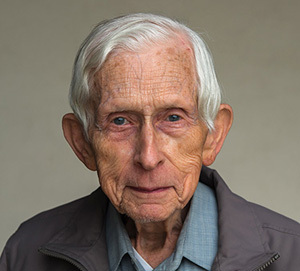 He will be remembered for his kindness, very careful work, and generosity throughout his long and distinguished scientific career at Lick Observatory and UC Santa Cruz. In 2016, Klemola made a very generous donation that endowed the James Keeler Fund to support the research of astronomy and astrophysics graduate students at UC Santa Cruz. His goal for the Keeler Fund was to attract capable students from all backgrounds to astronomy and help them succeed. It is perhaps fitting that comet Klemola will make a return in November, 2019. Klemola was an expert in precision measurements of stellar positions and motions. In Argentina, he was instrumental in putting into operation a telescope specifically aimed at this kind of work. Upon returning to Lick he was instrumental in the completion of the multi-decade-long Lick Northern Proper Motion Survey. He and his colleagues Robert Hanson and Burton Jones (who helped compile the following summary of Klemola’s scientific work) measured the proper motions of about 300,000 Milky Way stars and the positions of around 70,000 galaxies, putting the motions of the stars onto a fundamental reference frame. This program led to a much better understanding of the various constituent components of the Milky Way galaxy and was one of the early research programs that demonstrated large-scale structure in the distributions of galaxies through space. Because of his expertise in measuring stellar positions, Klemola was in great demand as a collaborator. He produced catalogs of stellar positions used to predict occultations of stars by asteroids and by the moons of the outer planets. The shapes of the moons could often be determined by these occultations. He produced a catalog of positions of faint stars along the path of Halley’s comet, work that led to the precise determination of the position of the comet, and helped make midcourse corrections to the spacecraft trying to make a close approach to the comet. Klemola worked on many other topics, from identifying the optical counterparts of gamma-ray bursts to the orbits of comets. He made some of the early proper motion measurements of globular clusters, from which orbits could be determined and the mass of the Milky Way’s halo could be measured. Probably one of the most interesting projects was his collaboration with Burton Jones and Douglas Lin in the measurement of the motion of the Large Magellanic Cloud, a nearby companion galaxy to the Milky way. It was the first time any such motion was measured for any external galaxy. This result stood among the most accurate for many years. Arnold Klemola was born in Connecticut on February 20, 1931, to Leona and Uuno Klemola. Donations in memory of Arnold Klemola may be made to the endowment he established, the James Edward Keeler Fund for Excellence in Astronomy and Astrophysics.